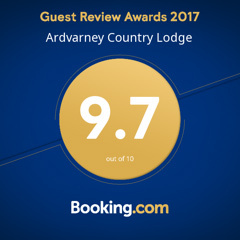 Come and stay for two nights in a luxurious en suite room, surround yourself with the outstanding scenery and natural beauty of Leitrim and Sligo. We can advise you on all the best places to visit. On the second day, you will have the opportunity to visit a local smallholding and talk to Lyn the gardener, about no-dig gardening, gardening for wildlife, permaculture, composting and anything else you would like to discuss. Meet Teddy and Tony the Alpacas, Podge the Pot-bellied pig and the gang of Bantam hens, Geese and Ducks. You are welcome to stay for herbal tea of the day and a home baked scone on the terrace afterwards.